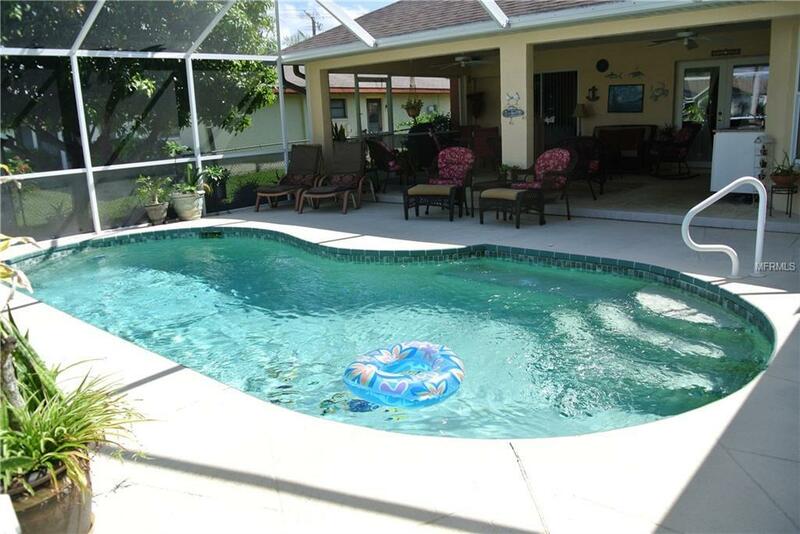 GORGEOUS GULF ACCESS pool home ready for you and your boat to move right in! Featuring an open floorplan with 3 spacious bedrooms AND an office with a view, separate living, dining and family rooms, big breakfast nook, neutral tile floors throughout, crown molding, beautiful kitchen with granite counters, wood cabinets, breakfast bar, newer appliances and large closet pantry; inside laundry room with newer washer and dryer, laundry sink, built-in ironing board and cabinet storage. Per owner - newer air conditioning system in 2012, newer water heater in 2016, and guest bath/pool bath vanity and medicine cabinet. Master suite has two walk-in closets, full bath with separate sink vanities, tub, step-in shower and a bidet. 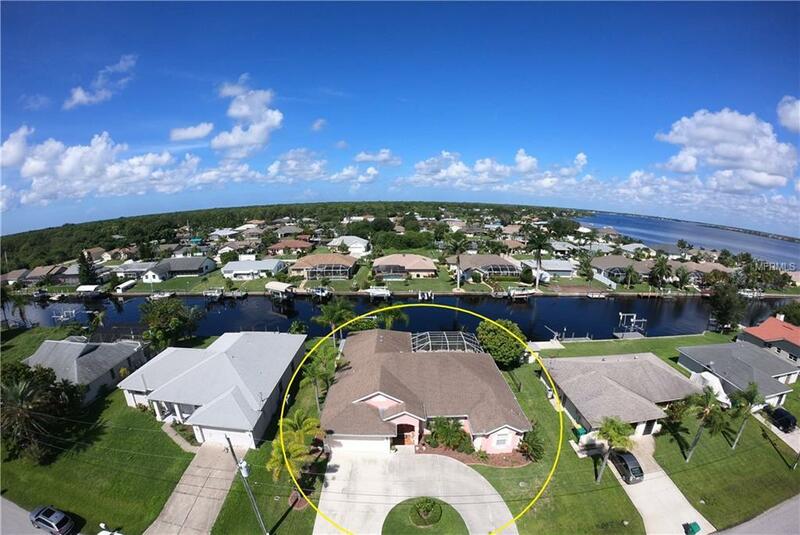 Outside youll find a large screen enclosed lanai and pool area with a wetbar with a granite counter, surrounded by lush, tropical landscaping, perfect for entertaining or just sitting and enjoying a good book; circle driveway, a fenced dog run in the side yard, storage/equipment shed; and for your boat there is a 6,000 lb lift, a wood dock with newer decking, water and electric, fish cleaning table, all on 80 ft of concrete seawall. 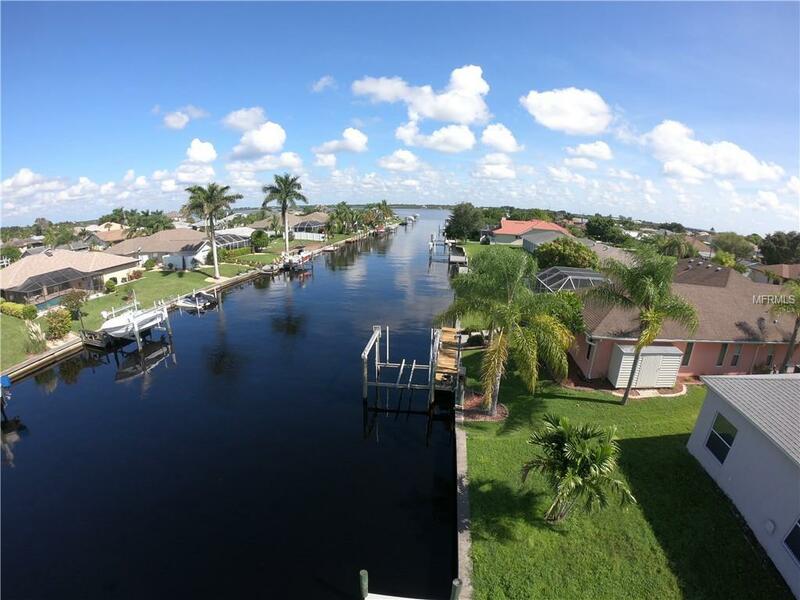 When you come back in from boating and fishing all around the Myakka River, Charlotte Harbor and the Gulf of Mexico, youll enjoy cocktail time with fresh lemons and mangos from your own trees! 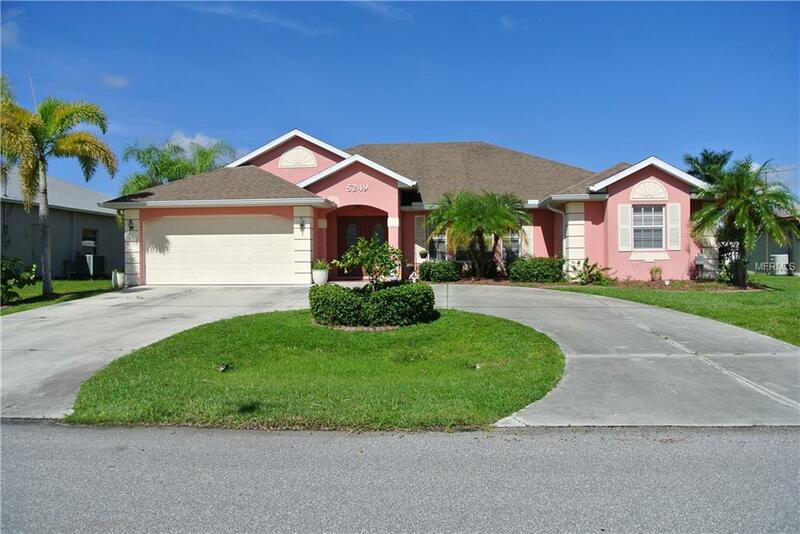 Gulf Cove is located close to the Port Charlotte Town Center Mall, Boca Grande and Englewood beaches, golfing, and the Tampa Rays/Charlotte Stone Crabs Baseball Stadium.